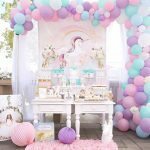 Often times kids’ birthday party themes revolve around the birthday girl or boy’s favorite character or animal. 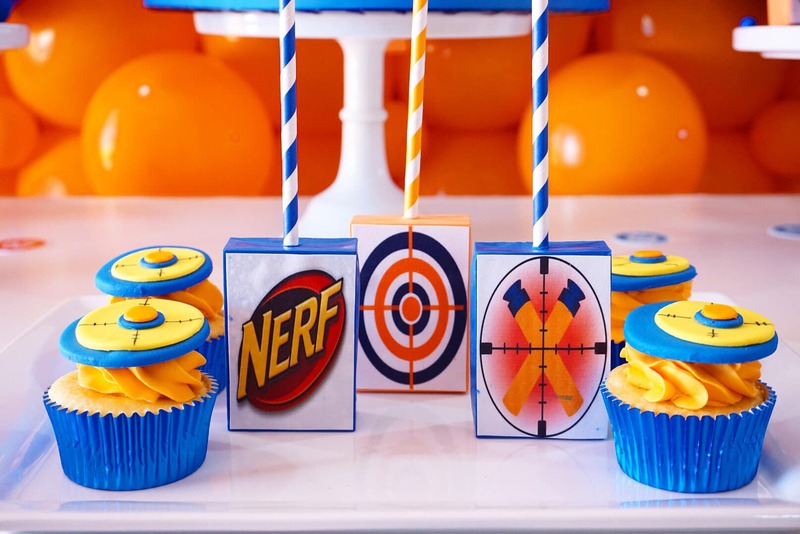 That’s why I think this ultimate Nerf birthday party is so unique. What a great idea to have the party theme be the birthday boy’s favorite toy. As always, M & J Kreations puts together a show stopping dessert table. Let’s dive into the details! There’s no doubt this dessert table is the central focus of this party. The orange and blue balloon backdrop isn’t just for color. The balloons are arranged in such a way to highlight the bullseye. I love the way that the different sized balloons are used–serious attention to detail there! From there on, it’s treats galore! Fondant and edible print paper makes it easy to translate a theme into treats. I can practically smell these cake pops through the screen, can’t you? I’m loving the sanded sugar finish, but what I love even more is the marbles on the cake stand! Such a unique way to add color and texture to the decor. 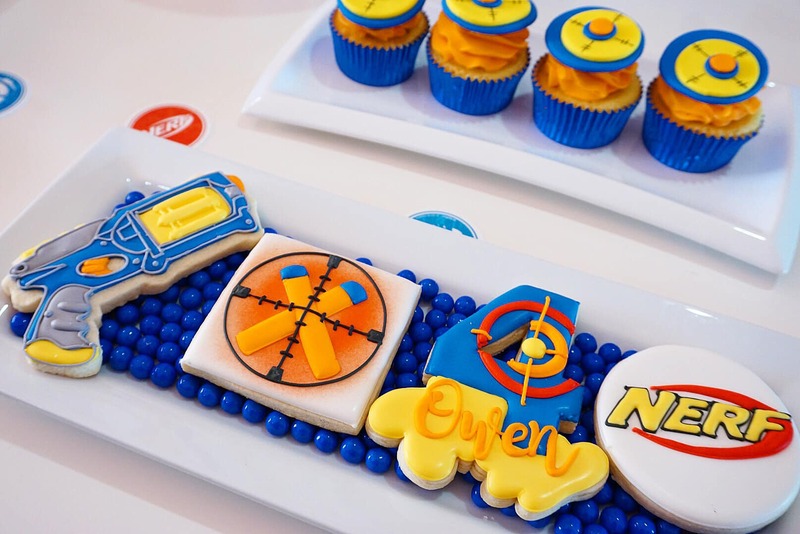 The details on these cookies are unbelievable! 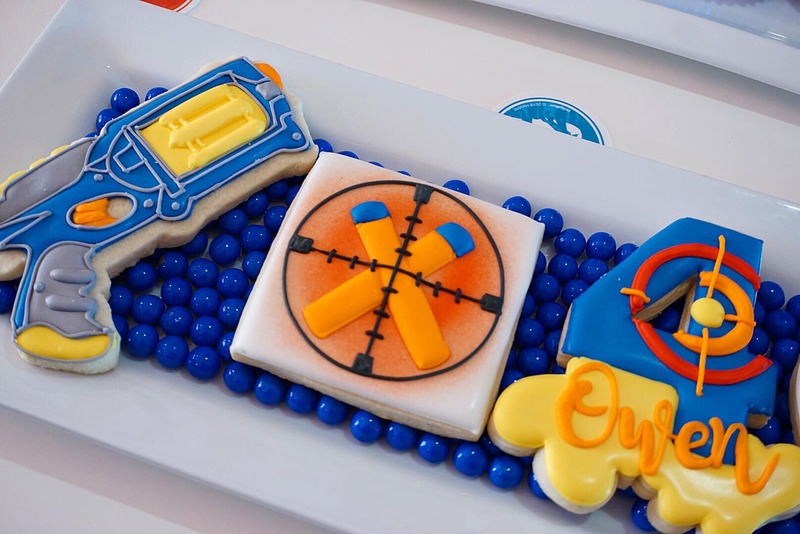 I bet there were more than a few kids playing pretend with the Nerf gun cookie, before ultimately eating them. 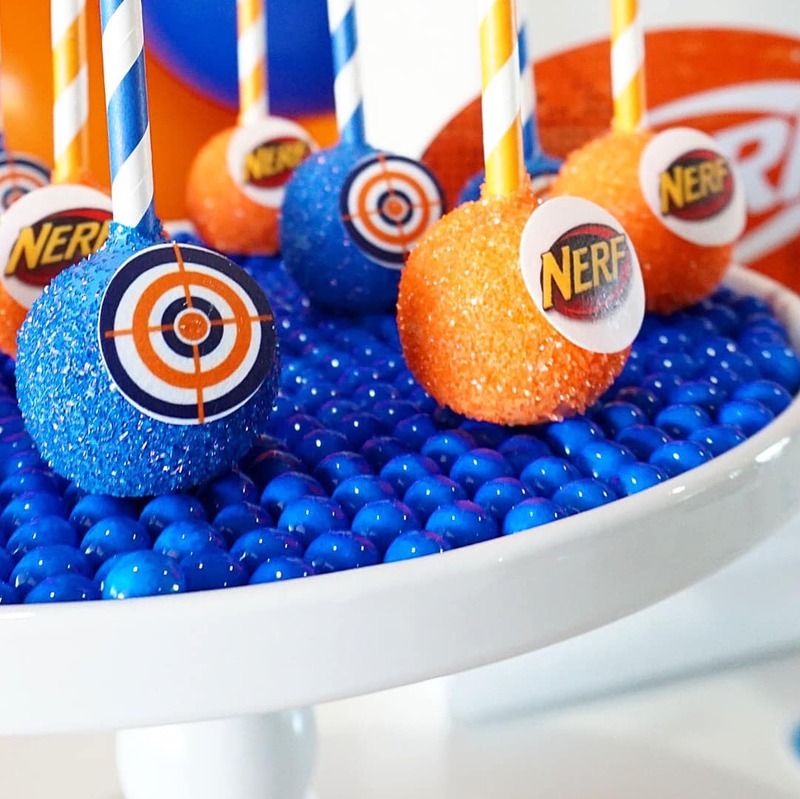 This time, gumballs on the platter add that unexpected pop of color and texture. Last but not least, the cake looks like it was the recipient of a few missed shots! 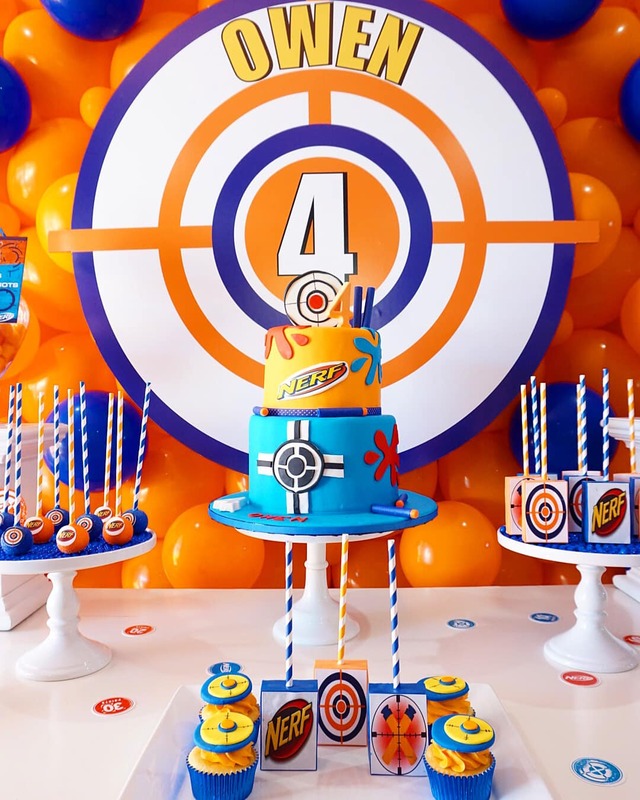 The cake is decorated simply, yet perfectly, with a target, and a few splats of fondant. 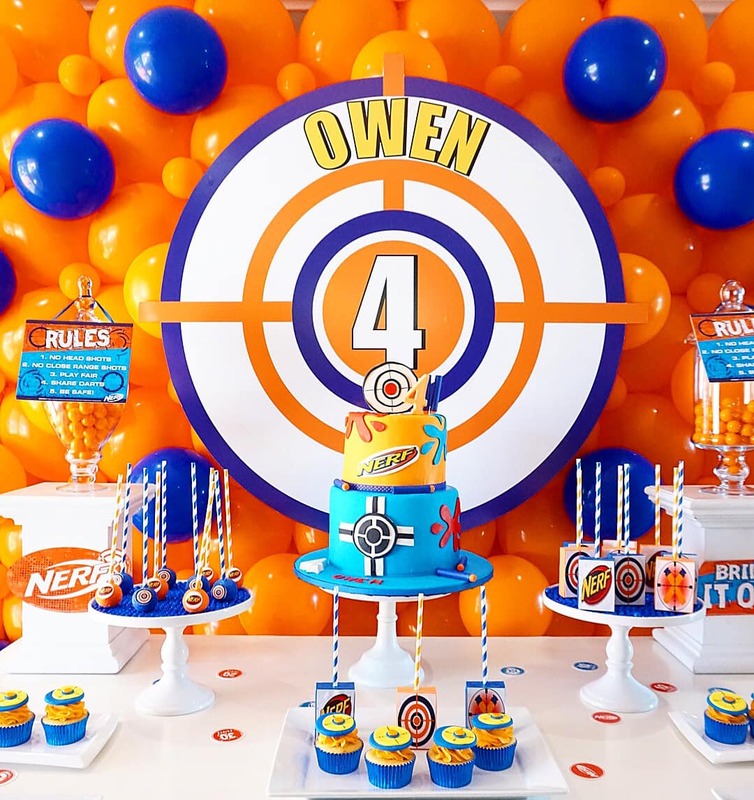 Owen is sure to be one happy 4 year old birthday boy with this ultimate Nerf birthday party! I hope this party gives you some ideas for your own Nerf party or maybe gives you inspiration for another toy-centric party. 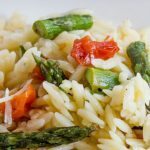 What are you going to try? 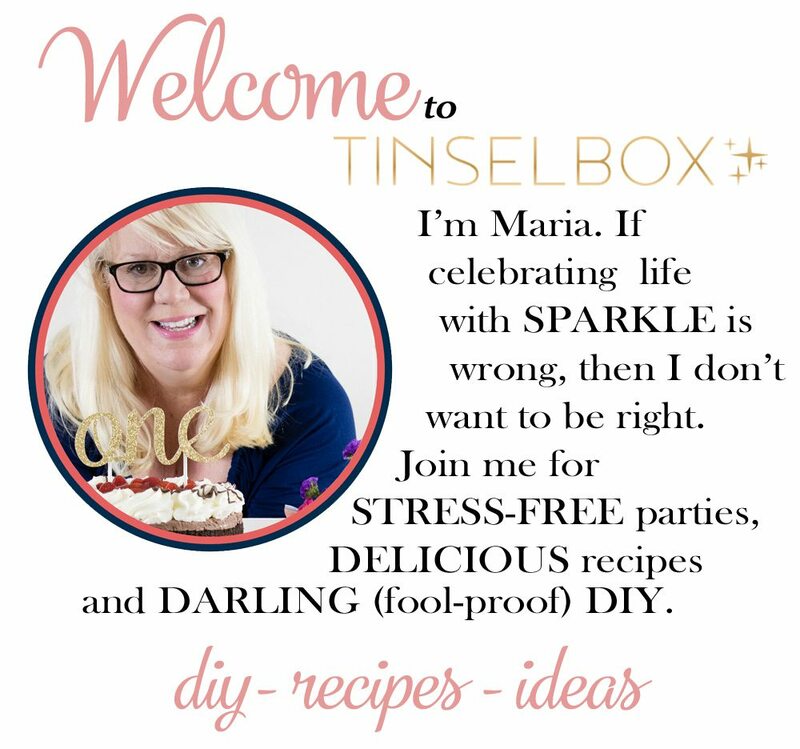 Do you have any ideas for a different toy theme? 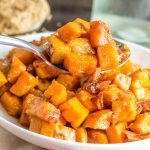 Leave us a note in the comments and share this post on Pinterest!